During the 1970s, Steve Hillage became established as one of the UK's most original guitarists and songwriters. Emerging on the edge of the Canterbury Scene in the late 60s in Uriel and then Khan, Hillage joined Gong in 1973. His parallel solo career took off and he enjoyed album chart success until the end of the decade. Hillage made complex but accessible music with a psychedelic, space-rock feel and imbued with a hippy-ish positivism. Into the 80s, his music became increasingly electronic and he also worked as a producer. This path led to him into ambient techno territory in the early 1990s with the acclaimed System 7, together with his partner and long-time musical collaborator Miquette Giraudy. Steve Hillage's tenure in Gong was relatively brief, from 1973-5, but with them the young guitarist came into his own as a player. His debut solo album Fish Rising, released in 1975, was stylistically similar to Gong's music, not least because most of the group played on it. It's a strong set, showcasing his exultant, soaring lead guitar style on the lengthy 'Solar Musick Suite' and his use of delays to produce rippling soundscapes on 'Meditation Of The Snake'. The following year, Hillage flew to Wooodstock, NY to record L, with Todd Rundgren producing and his group Utopia providing the instrumental backing. Jazz trumpeter Don Cherry also guests. The album was eagerly anticipated by fans as the meeting of two enlightened, psychedelically inclined minds and had a more compact, muscular sound. It included covers of 'Hurdy Gurdy Man' by Donovan and George Harrison's 'It's All Too Much'. While its successor had just brushed the Top 30, L peaked at number 10. When Hillage later performed some selections from the album on BBC Radio 1 In Concert, DJ Pete Drummond went so far as to say that it was one of the best albums of all time in the rock idiom. Motivation Radio charted in the UK at number 28. It was recorded in California in 1977 by synthesiser pioneer Malcolm Cecil of TONTO's Expanding Head Band, who also played on the record. The material here was more concentrated and concise. 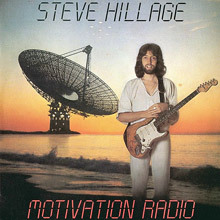 Hillage's interest in communication and particularly the possibility of contact with aliens - as described on 'Light In The Sky' - is reflected in the front cover, where he is depicted standing in front of a radio telescope. These ideas carry on throughout Green (1978) on 'Unidentified (Flying Being)', and 'Musik Of The Trees', where he talks to the trees and feels their auras. As Hillage pursued this esoteric subject matter in an unabashed, good-humoured manner during the emergence of punk, some pursuers of alternative lifestyles championed him as a sort of ambassador of the Aquarian Age. This UK Top 30 album, co-produced by Nick Mason of Pink Floyd, was an irresistible mix of strong tunes coloured with guitars, lush synths and sequencers, and supported by the swinging, funky rhythm section of drummer Joe Blocker and bass guitarist Curtis Robertson Jnr. Live Herald followed later that year with some fine in-concert performances from the last couple of years. The original double LP version included a side of studio material, which has since been replaced on CD by another live recording. While this made it more consistent, it lost us Hillage's 'punk' song '1988 Aktivator'. Inspired by a surfeit of good vibes, and drawn to the sentiments of Sham 69's 'When The Kids Are United', Hillage ended up as the unlikely onstage guest of the group at the 1978 Reading Festival. Unfortunately, the event was marred by a stage invasion of National Front supporters. These lost studio tracks have reappeared as extras on the CD version of 1979's Open. The album has a cleaner production sound with smoother grooves of funky slap bass and shiny sequencers. With its handclaps, high vocal melody line and bleeping synths, 'Definite Activity' sounds like Hillage is bopping away in the Cosmic Disco. Light In The Sky… Introducing Steve Hillage is a succinct summary of the guitarist's musical moves, comprising selections from across his solo career in the 1970s. 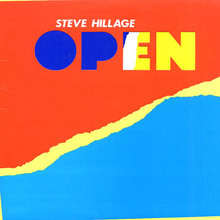 Soon Hillage was travelling further down the route signposted by the music on Open. He began producing other groups in the 80s – including It Bites and Simple Minds – and his interest in production techniques and technology can be heard on For To Next and the accompanying instrumental album And Not Or, which were released simultaneously in 1983. For To Next reached number 48 in the UK charts and features some typical '80s keyboard sounds. But Hillage and Giraudy's use of electronic drums and synthetics was also prescient of the ambient techno music they would be making at the end of the decade. They have pursued that tack with System 7 and Mirror System until the present day, although there has always been room for some sweet guitar work. That change of direction was also influenced by their meeting groups like The Orb, who admired Rainbow Dome Musick. The album was released back in April 1979 and was originally intended to be played in the Rainbow Dome at the Mind Body Spirit Festival held at Olympia in London that year. At the time it was thought of as a pleasant anomaly, but a decade or so later it was a staple of chill-out rooms and has become acknowledged as an ambient classic. Those in tune with being transported through music will want to station themselves near the speakers for Motivation Radio. Call it the "light side of the moon," this album draws the listener into its own astral plane with a glossy and gauzy sound similar to Pink Floyd without the darkness, or Alan Parsons Project without the dorkiness. The new age/space ideology isn't far removed from Gong's original alternate reality (remember the Octave Doctors? ), spelled out best during the album's true point of transmigration, "Saucer Surfing." Hillage's guitar work is typically transcendent, Giraudy's keyboards a vital component (note the Doctor Who-isms of "Searching for the Spark"), and Joe Blocker's drums a frequent breath of change. Steve Hillage doesn't have the vocal presence to reach out to listeners; at best, he can meet them halfway. Motivation Radio works as well as it does because it draws listeners to that halfway point (and beyond), steering them with spiritual signposts and rewarding them with rapturous music. It's a remarkably smooth journey, more accessible than L, if equally cosmic. Again, it was an idiomatic cover tune, "Not Fade Away," that became the single; though an odd way to end the record, it wouldn't have made any sense in the middle. The rest of the record is a contiguous collection of music. So tune in and bliss out. 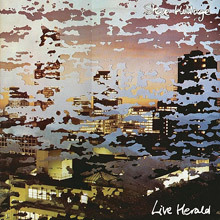 Originally released in 1979, this album of Hillage's self-styled "elektric gypsy musick" was spread across two vinyl discs; when subsequently reissued during the digital era the guitarist/singer's cosmic space rock set -- including a version of George Harrison's "It's All Too Much" -- fit onto a single 64-plus-minute CD. Right there. 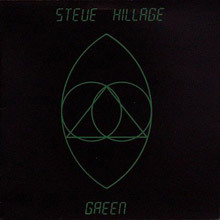 On Steve Hillage's 1978 release Green, the underground prog rock fan favorite issues more of his trademark thinking-man's music. Fans of mid- to late-'70s Pink Floyd will want to check this album out, since it possesses many of the same musical qualities, due to the fact that it was produced by Floyd drummer Nick Mason, along with Hillage. Although not as consistent as some of his other albums, it certainly has its moments. Hillage's recurring sci-fi influence is still felt in his music, especially on such tracks as "Sea Nature," "UFO Over Paris," and "Unidentified (Flying Being)." 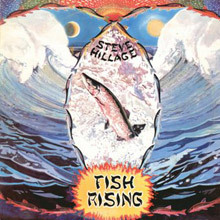 Hillage uses the same band that appeared on his Motivation Radio album, which helps make Hillage's twisted songs even better (like his other albums, the musicianship is top-notch). Besides comparisons to Floyd, the album's music is also similar to David Bowie's late-'70s experimental electronic phase (check out the track "Crystal City," with vocals almost identical to Bowie). Hillage fans will definitely not be disappointed with Green. After a stint with Gong as their trippy, hippy, new agey guitar guru of cosmically and extremely raga-esque trance rock and improv heaven, Steve Hillage went solo. He branched out to carry his own version of the Gong gospel of personal freedom via his special blend of cosmic brotherhood, Eastern religion, new age, pyramids, ley lines, crystals, and some ferocious jazz fusion and progressive rock guitar blended with space rock synths. Hillage reinterprets some well-known tunes by other artists like Donovan and George Harrison here as well as penning some of his more memorable sonic treats. His awesome riffing and speedy solos on his Fender Strat rival those of Hendrix and Frank Marino but go further compositionally via exotic scales from other cultures. Add in Todd Rundgren's engineering and production genius, his Utopians guesting, and several others like Don Cherry on brass and Tibetan trumpet along with a 15th century Hurdy Gurdy and you have a wild romp into eclectic rock. The 12-minute-long "Lunar Musick Suite" is the pinnacle moment of the release and "Om Nama Shivaya" comes in a close second for Hillage's most blissed-out trance rock. Both Gong and Hillage's solo career have brought such superb musical echoes and legends such as veteran space rockers, the Ozric Tentacles. 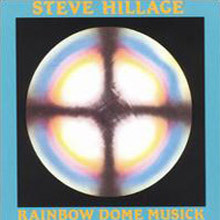 Rainbow Dome Musick is too avant-garde to be classified as a new age album and too sleek sounding to fit into any progressive rock subgenres, but no matter how it's categorized, it's an excellent example of Steve Hillage's adeptness and vast musical background. His time spent with Daevid Allen's Gong and their far-out, space-fused grooves has rubbed off on him, as he has channeled his learned musical experimentation into an equally entertaining but more refined style of music. Playing guitar in Soft Machine and working with Kevin Ayers doesn't hurt either, but the 20-plus minutes of both tracks on this album harbor some intelligent and mature-sounding instrumentation thanks to a distinct array of sequencers and percussion. "Garden of Paradise" is a lush, intricately woven melange of guitar, piano, and synthesizer which are all pioneered by Hillage. Giving the track its feel and sustenance are the Tibetan bells and the powerful undertow of Miquette Girandy's double sequencer. The instruments gracefully converge to craft the non-existent paradise in which Hillage has musically created. "Four Ever Rainbow" contains much more rhythm and current thanks to the electric and glissando guitar and the subtle hovering of a harmoniser played by Rupert Atwill. 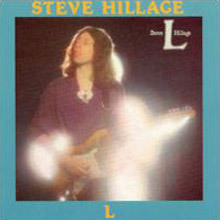 The final result of the culmination of both tracks is a relaxing and pleasantly divergent journey through a sorted spectrum of instruments, making this album one of Steve Hillage's best solo pieces. After departing Gong in 1975, Steve Hillage followed the same route as everyone else, by making a solo album. He enlisted some Gong colleagues -- bassist Mike Howlett, saxophonist Didier Malherbe, and drummer Pierre Moerlen -- and augmented them with others from his Canterbury past, keyboard player Dave Stewart (the two had played together at the beginning of the decade) and Henry Cow's Lindsay Cooper. The result, apart from revealing a slightly unhealthy obsession with fish (at least a change from Gong's pothead pixies) is a Canterbury musical delight, even if the lyrics are chock-full of hippie-dippy sentiment. There are plenty of complex time changes, easily and smoothly handled by the musicians, and while Hillage doesn't contribute as many solos as admirers of his style might wish, he does use layers of guitar to create some wonderful textures and harmonies. This is, in fact, a very sophisticated record, with interesting arrangements and some innovative production -- a harbinger of Hillage's future career behind the boards. On the few occasions he does unleash the fretwork, it's quite glorious, with his trademark echo letting the notes trail like a comet's tail. He doesn't need to prove he's the fast gun in town, simply one with plenty of invention. The real emphasis is on band arrangements and those multi-part compositions that were an indelible part of the prog '70s (as in the pretentiously titled "Solar Musick Suite"). However, pomposity is carefully avoided, and the musicians bring enough of their own personalities to the party, especially Malherbe. As a solo debut it's a success, taking the qualities of Hillage's previous gigs on board, but making the final product his own. It might be fishy, but it certainly doesn't stink. 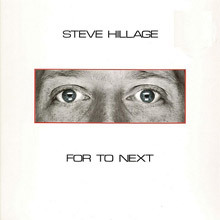 For to Next followed Steve Hillage's last effort by a few years, and during the interim the evolving synth/new wave scene seems to have captured his imagination. For all intents and purposes a collaboration with keyboardist Miquette Giraudy, the album features relatively light and bouncy synthesizers augmented by Hillage's sometimes spacy guitar solos and sleepy vocals. Gone is Hillage's upbeat mysticism, replaced by the fashionably bleak outlook popularized by synth rock acts like Ultravox, Visage, and Gary Numan. Thus the mix of ingratiating melodies (always a Hillage hallmark) and a sense of social malaise on tracks like "These Uncharted Lands," "Anthems for the Blind," "Glory," and "Bright Future." It's a setting that keeps Hillage's talents too confined, especially for someone whose natural milieu is the unbounded aether of cosmic consciousness exemplified on albums like Motivation Radio and Green. There are moments, as on "Frame by Frame," that the old guitar magic reappears to create an interesting "discosmic" amalgam, which could be seen as a harbinger of System 7.